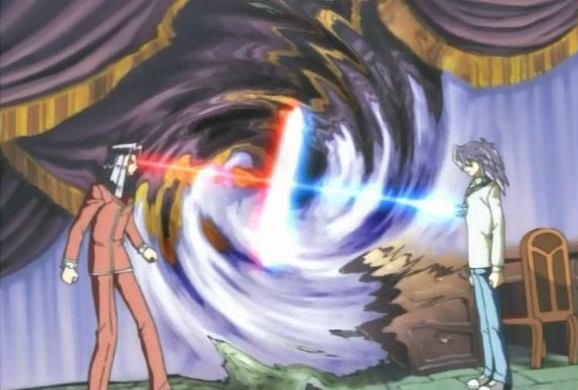 Bakura is a tricky duelist who will always go for the win and that’s what separates him from Pegasus. Pegasus has a pretty neat toon deck, but it’s not quite up to snuff when compared to Bakura’s powerful cards. Diabound is enough to take out anything that Pegasus can bring to the table and the old timer will simply have to accept his loss this time. Bakura wins. This entry was posted in Bakura Battles, Battles, Pegasus Battles and tagged Bakura, Pegasus by dreager1. Bookmark the permalink.